Every multi-storey building needs to offer direct and easy access to all floors. Whilst a staircase is a simple enough proposition, a lift makes traversing vertically fast, efficient and suitable for all. As a leading provider of commercial elevators in Sussex, here at Tower Lifts, we understand the importance of practical and well-designed elevators for all public buildings. Business elevator systems ensure that your staff and visitors can reach every area of the building as and when they need to. Much more than just a quicker way of travelling between floors, commercial lifts also offer access to visitors with limited mobility and provide a safe and efficient way of moving goods and supplies between floors too. How Can I Find Lift Contractors In Sussex? With over 15 years’ experience within the industry, we provide our clients with concise, full service, lift packages, complete with project management services for each stage of the installation process. Examples of our installations can be found in public, private and retail sectors across the country. As an experienced and highly regarded commercial lift company, Tower Lifts is able to assist with all of your commercial lift requirements. We can supply a wide range of machine-roomless and hydraulic passenger lifts for buildings of all sizes and types. We can also supply platform lifts to traverse small stairways and ramps, as well as goods lifts to ensure the smooth behind the scenes running of your operation. 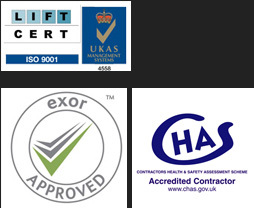 What Type Of Commercial Lifts Are Available In Sussex? We offer a number of different types of passenger lifts, each designed to suit varying passenger and weight capacities. Our lifts offer affordable and practical solutions for all types of commercial buildings including retail units and traditional commercial settings. Utilising some of the most recent technological innovations in the vertical transport industry, our lifts are designed for maximum performance without expensive running costs. We can provide a bespoke solution for your commercial premises, defined by the number of people and weight requirements for your lifts, as well as the type of access required, the existing space in the building and any other individual considerations. As a sought-after commercial lift company for Sussex, we often work on projects that require clever design solutions to ensure that modern day lift technology does not compromise the aesthetics of listed or architecturally unique buildings. Tower Lifts were delighted, for example, to be asked to provide a bespoke passenger lift for the world famous Glyndebourne Opera House. Nestled in the East Sussex countryside, the opera house welcomes an average of 150,000 every year. Because of the nature of the building, a bespoke passenger lift was required to complement the existing grounds and decor. Using steel and curved glass, our tailor-made lift blends perfectly with the stunning curves and style of the architecture. To prevent any visual disruption, the lift pit was sunk below ground level and disguised by strategically placed landscaping. The lift itself can hold up to 13 people and covers three stops as required. Find out more about our Glyndebourne Opera House project here. If you are looking to improve access to your building, speak to us today to see how we can provide lift services for your Sussex premises. We can undertake a complete survey of the building and provide you with tailor-made lift solutions to provide access for all.